Having a website for your business is one thing. 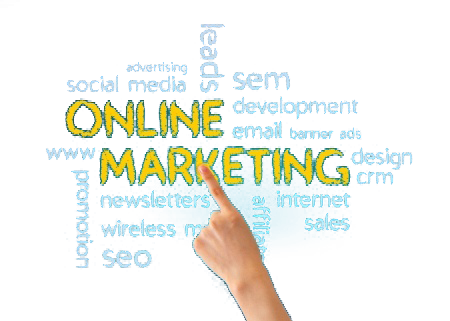 Having an effective online digital marketing strategy is quite another. Your online marketing strategy is not going to return the results you need unless you have all the pieces in place. Deerpath Web Design is a local West Michigan Digital Marketing Consultant that can help your small business create an effective website and a create digital marketing plan to achieve your online goals. Deerpath Web Design takes a “holistic” approach to digital marketing, understanding that a professional website is just the beginning of an effective online marketing strategy. Our goal is to help local small businesses grow their customer base through effective digital marketing strategies. Improve your online impact today! An effective website is more than just a “pretty face.” Although presentation plays an important role in customer conversion, there are other factors that make up a quality website. From basic website packages to large custom-designed websites, we have affordable website solutions for getting your small business established online. Content is the single most important factor of your online presence. But it is not just about optimizing your website content any more. Effective SEO practices must include creating “off-page” content that appeals to people and search engines through a variety of online channels that you may or may not know exist. Boost your search engine rankings today! Website Security How “Safe” Is Your Website? Website security is a major issue when determining the success of small business websites. The truth is that the majority of websites are extremely vulnerable to being hacked. While no website is “hack-proof,” we can help protect your small business website against being compromised. Find out how to secure your website today. Choose Deerpath Web Design…get results that make a difference. Serving West Michigan and Oceana County since 2001.